The Nordica GT Speedmachine 80 EVO is an exciting ski with power and hold to burn. 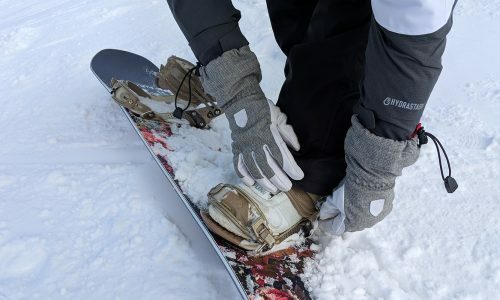 Built with Nordica’s camRock tip design for subtle rocker for ease of initiation and dual metal torsion bridge construction, this ski gets into a turn quickly and holds it throughout the arc. 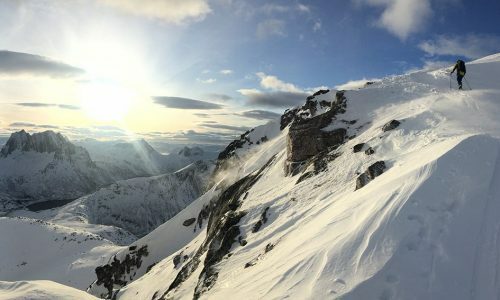 It feels like a race ski with the aggressively accurate way it carves, but without all the work. 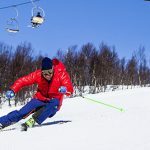 The ski does need to be on-piste, and prefers medium-radius turns, although it can also easily be pushed into more slalom-style short swing turns when you want. 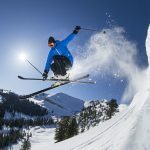 Some testers did feel they could overpower the tips, and would prefer to ski the 180-centimeter version of the ski on a regular basis (most testers were on the 174-centimeter version). Overall, the Speedmachine 80 EVO is one of the purest carvers in the Carving Category of the Gear Institute Ski Test. Featuring Nordica’s camRock rocker design with a slightly upturned tip, and the brand’s Energy 2 Titanium Torsion Bridge + Carbon Race Bridge construction, the Nordica GT Speedmachine 80 EVO skis like a GS race ski, but without all the work. Good at mid-range speed levels, the Speedmachine lives up to its name and performs better and better the more you crank it up. It performs with particular authority in medium-radius turns, but can also be nudged into precise slalom turns thanks to its ease of initiation and rocker-enhanced forgiveness. The generous sidecut of the ski creates a large sweet spot, as well as a wonderfully round, very accurate turn shape. 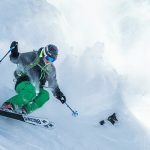 Some of our larger testers did feel they could overpower the tips on the 174-centimeter version of the 80 EVO, and would size up to the 180-centimeter model of the ski for everyday use. Almost all the testers agreed that like the Blizzard Quattro RX, this is a ski made almost exclusively for on-piste use. Take the ski off the groomers, and that big sweet spot seems to shrink. Still, a couple testers did find the ski’s tip rocker and large sidecut were perfect for arcing through hard bumps. 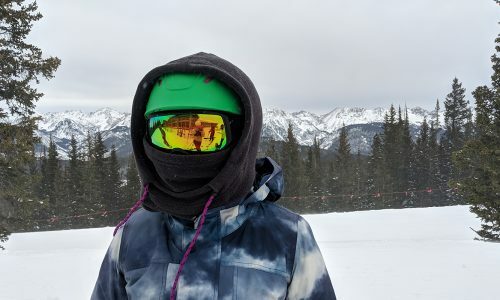 Overall, we found this is one of the purest carving ski in the Carving Category, built for advanced to expert skis who want to absolutely bully the hardpack. The Nordica GT Speedmachine 80 EVO earned three 10s (out of 10) in the Overall Classification of the Carving Category, all from testers who felt this was custom-built for race-style skiers who want to attack the groomed the same way they would attack a race course. The ski did get one score of 6 from a tester who felt it was too damp and “not very lively.” Every other tester gave it a solid 8. As mentioned in the Full Review (see above), the Speedmachine’s tip rocker and generous sidecut let to increased Responsiveness, earning it top level 10s on three test cards, 8s on five test cards, and two 6s who would have liked a livelier feel in the shovel, instead of the ski being so damp. 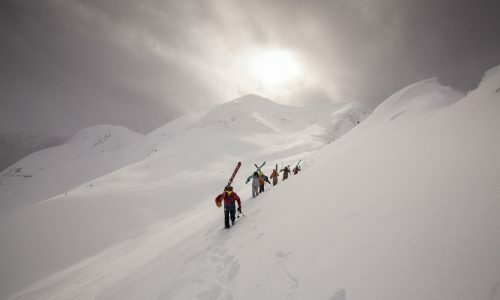 The majority found the ski initiated very well, especially when skiing a short to medium-radius arc. 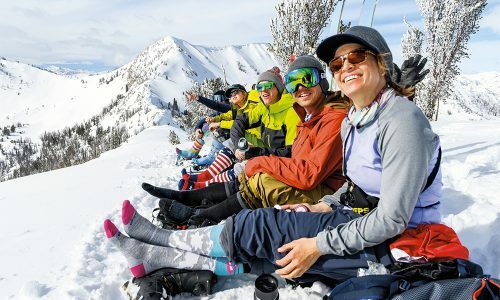 At the high-end, the Speedmachine 80 EVO also received two scores of 10 for Stability from testers who felt the easy-to-access power of the ski made it feel predictable and confident, and two 6s on the low-end from testers who felt it lost performance when they tried to make wider arcs. The majority of our test team gave the ski solid scores of 8. 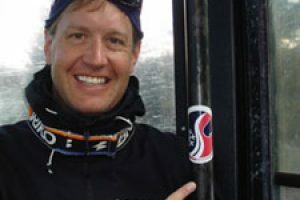 Interestingly, despite several testers calling out the Nordica Speedmachine’s “Strong edge-hold,” and “great grip,” the Edge-hold Classification was where the ski saw its most varied marks. For testers who gave it a 6 or 7 for grip, the most common gripe was the ski’s penchant for short- to medium-radius turns – and not big honking super G turns. The testers who gave it 10s or 8s, loved how well the ski did grab and keep hold of medium-radius arcs. 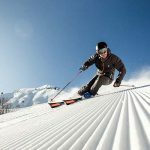 In terms of pure Carving Pleasure, on the other the hand, the fact that this ski really is one of the best groomed snow arcing machines in the Carving Category, earned the Speedmachine scores of 8 from almost everyone who tested it. This ski is custom made for carving deep trenches in the hardpack. As mentioned above, if you want to make a wonderfully accurate medium-radius turn (as well as an occasional short swing rhythm on the steeps) in all groomed and hard snow conditions, you should seriously consider the Nordica Speedmachine. If you want to ski longer, wider arcs all the time, the Kastle MX84 may be a better choice. The Nordica is absolutely dialed for skiers who love accurate, round, medium radius carving on firm slopes.